defined looks on your brows, eyeliners, lips and hairline. brows, eyeliners, lips and hairline. 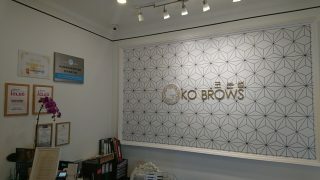 KO BROWS Beauty Consultants and Specialists are professionally certified and in line with the latest beauty trends. We have a comprehensive list of Semi Permanent Makeup Services and Skincare Services to suit our discerning customers. Whether you are looking for Semi Permanent Makeup Services to enhance your looks for Skincare services to beautify yourself, you know you will be in safe hands with KO BROWS. Visit KO BROWS now for a Complimentary Semi Permanent Makeup consultation and experience our Customization of Semi Permanent Makeup Services. Design your Eyebrow, Eyeliner, Lips, Hairline and Eyelash Extensions with us or beautify yourself with our Skincare services such as our Signature Korean B.B Covered Water Shine Foundation. K-Glow PDT LED Light Therapy. Experience Korean premium Semi Permanent Makeup Services without the need to fly to Korea! KO BROWS is proud to be recognized as the Singapore Branch of The Asia Beauty Arts-Experts Association (ABEA). 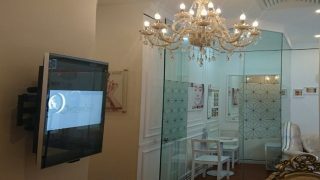 KO BROWS offers Individual Treatment Rooms, Consultation Room and Waiting Area to ensure an utmost comfort and privacy experience for our customers during their treatment and skincare services. Check out the latest Korean Semi Permanent Makeup Trends! How to go makeup free and still look like a Korean Actress! Want Korean Eyebrows? Now You Can At KO BROWS! KO BROWS Specializes in Semi-Permanent Makeup and other beauty services. We provide a one stop beauty services in line with the latest techniques and Korean styles to help you achieve a more natural and defined look. We use high quality and natural ingredients (FDA approved) for our semi permanent makeup treatments. Check out our Membership and Promotions!